It’s surprising to see just how much sugar is hiding in the cereals and drinks that we give to our children. 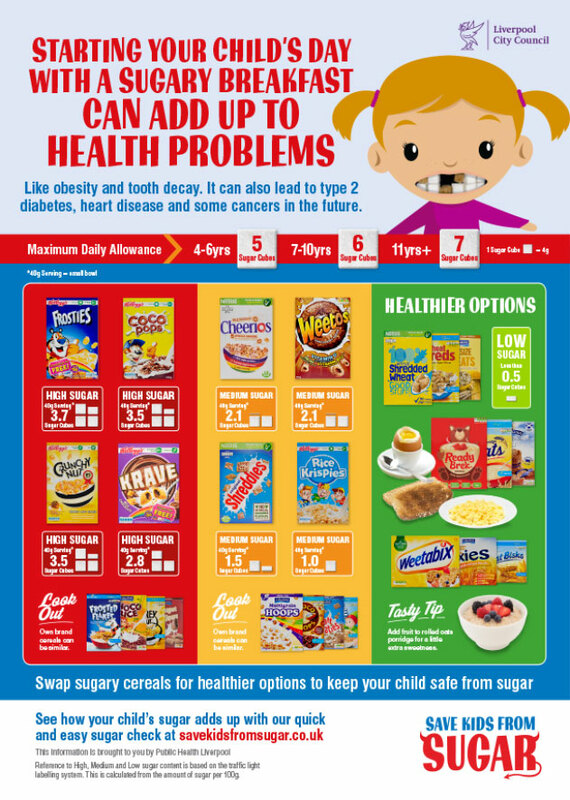 For example, some cereals include over a half a child’s maximum daily sugar allowance in one bowl! 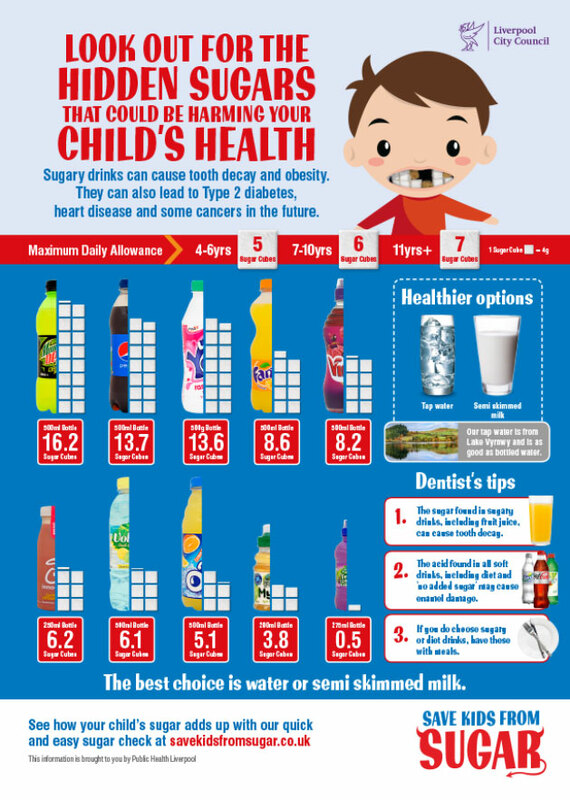 And drinks can be even worse, with some bottled drinks containing up to TRIPLE a child’s maximum daily allowance of sugar! This abundance of sugar on supermarket shelves can make it increasingly difficult for parents to keep track of their child’s sugar intake and make sure that they have a healthy diet. Recently, this has become a serious issue and Liverpool City Council has decided to tackle it head on. 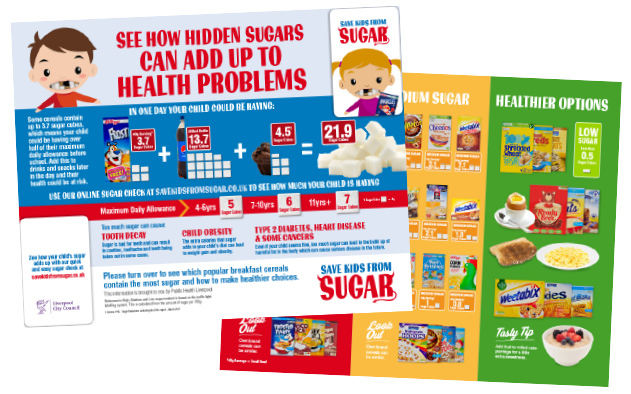 We were commissioned to create a new campaign that helped to educate both parents and children about the dangers of sugar by giving them easy access to the knowledge they need to make healthier choices. Our response was to create ‘Save Kids From Sugar’ a clear and emotive campaign that appeals to every parent’s desire to protect their children. 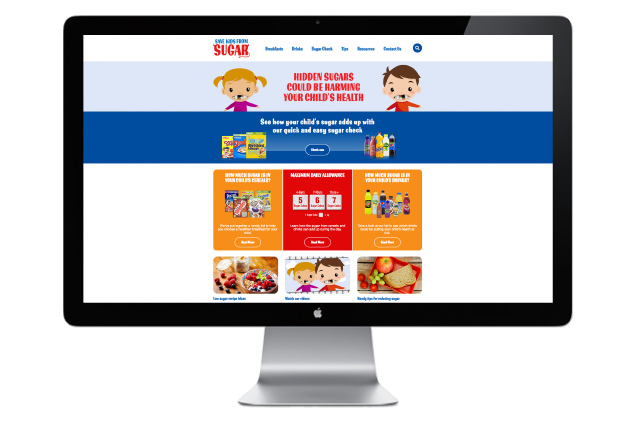 This multi-channel campaign spans print, press, video and digital advertising, but ultimately centres around a detailed website that will become a hub for any parent who has questions about the amount of sugar in their children’s diet. A key feature of the website is undoubtedly the beautifully simple Sugar Check. 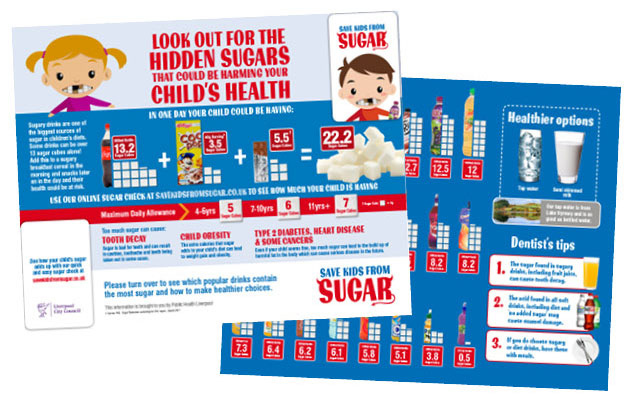 We conceived, designed, illustrated, and project managed the development of this bespoke tool to help parents check how much sugar their child is having in a matter of minutes. 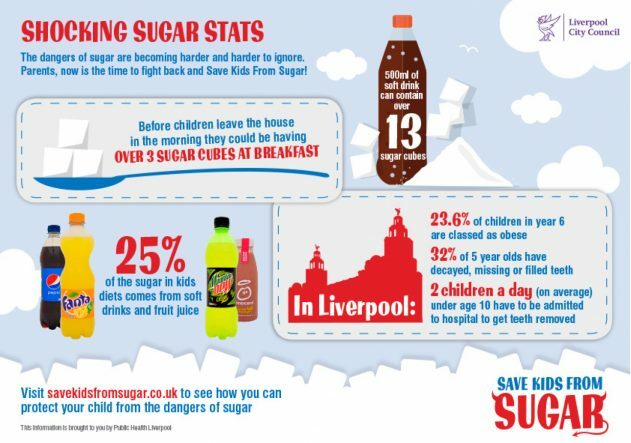 We’re proud to have been able to work on this campaign with Liverpool City Council and hope that our joint endeavours help to Save Kids From Sugar!